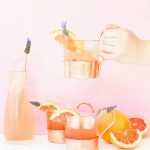 The good news is we’ve all made it to Friday again, and we’re back with another #SipsForSummer cocktail for you to make this weekend! 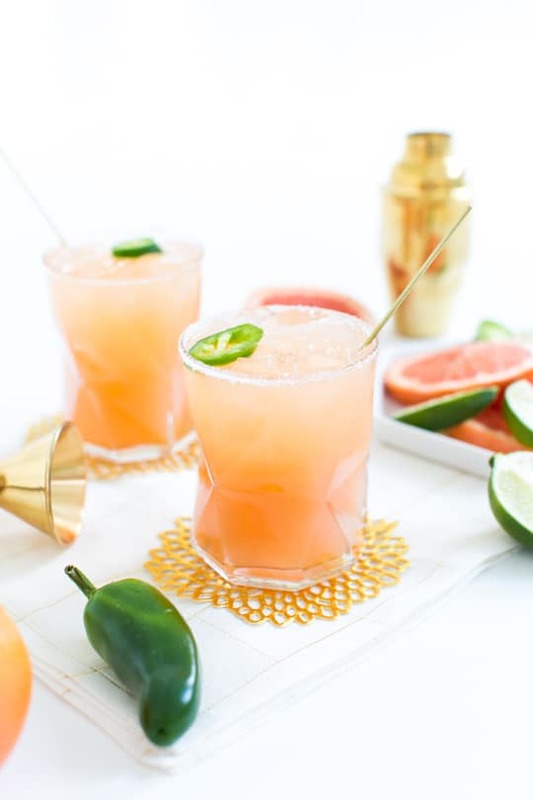 The bad news is I’m predictable enough (after this cocktail story) to still be on a spicy cocktail kick, and now I’m helping/forcing you to jump on the bandwagon, too, with this simple spicy paloma recipe! 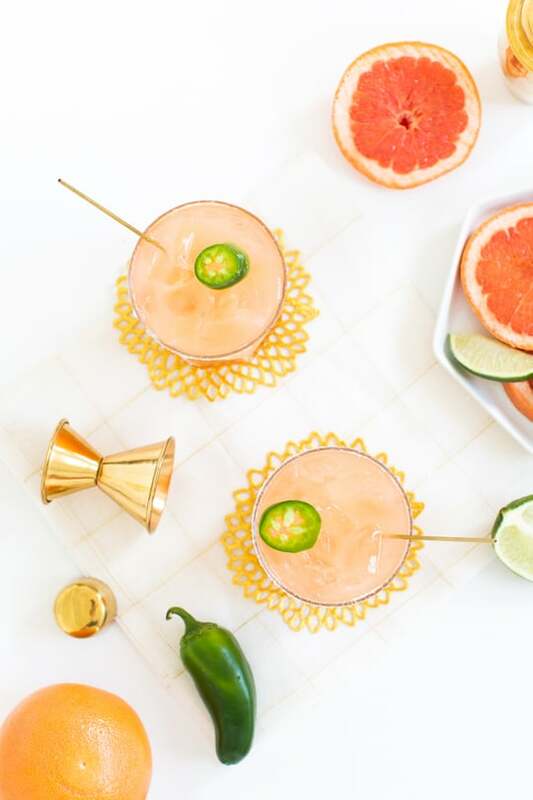 If you’re not totally sure you’re going to love this drink enough to go through the trouble of making your own spicy simple syrup, you can always take a simpler route and just add a jalapeño slice or two to the paloma recipe by itself to see what you think, first! – Prep the jalapeños by removing the stems, slicing into rounds, and then removing the seeds and membrane. You can leave the seeds and membrane intact if you’re wanting it extra spicy, though! – Next, bring the water to a boil and add in the sugar by continuously mixing until it’s fully dissolved. Add the jalapeño to the sugar water and let it come to a boil again, then let it simmer for 10 minutes. – Remove the mixture from heat and let it cool completely until it’s back to room temperature and strain/remove the jalapeños from the simple syrup. Once it cool, it’s ready for mixing cocktails! 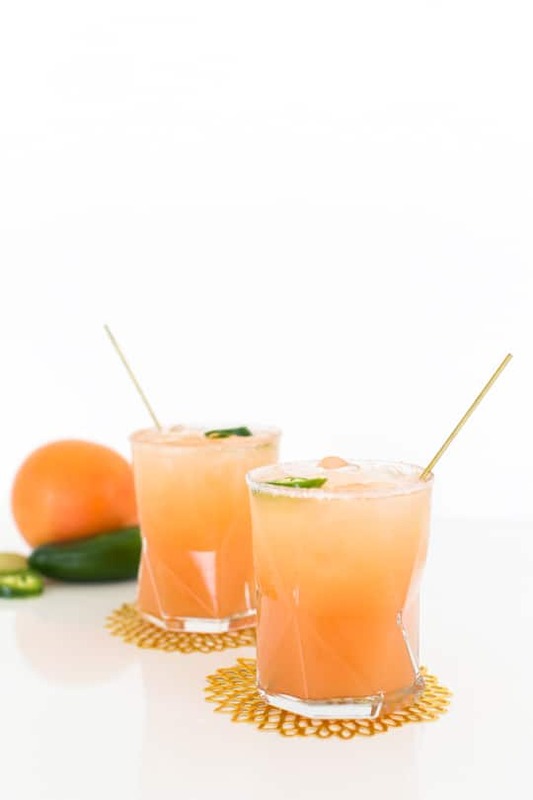 *You can store your jalapeño simple syrup in an airtight container in the refrigerator for up to a month. 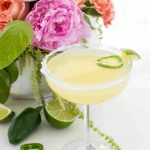 – If you’re dressing up your rim, run a lime wedge across the top of your glass and dip it into the sugar and sea salt mixture before assembling your cocktail. 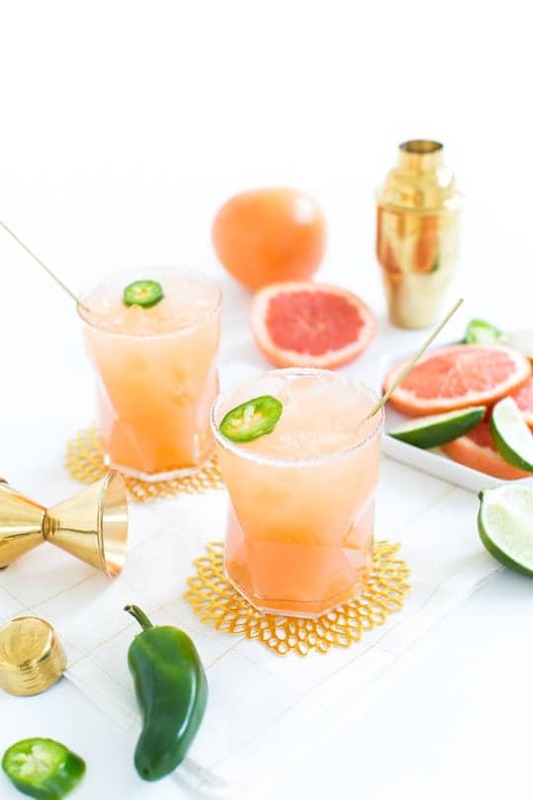 – Next, combine the tequila, grapefruit juices, spicy simple syrup, and squeeze of lime juice over ice in a cocktail glass, shake, and then strain and pour over ice into your dress glass. – If you want an extra spicy version, you can top with a jalapeño slice with the membrane still intact, or remove the seeds and membrane for a mild (and cute!) garnish on top. What do you think?! 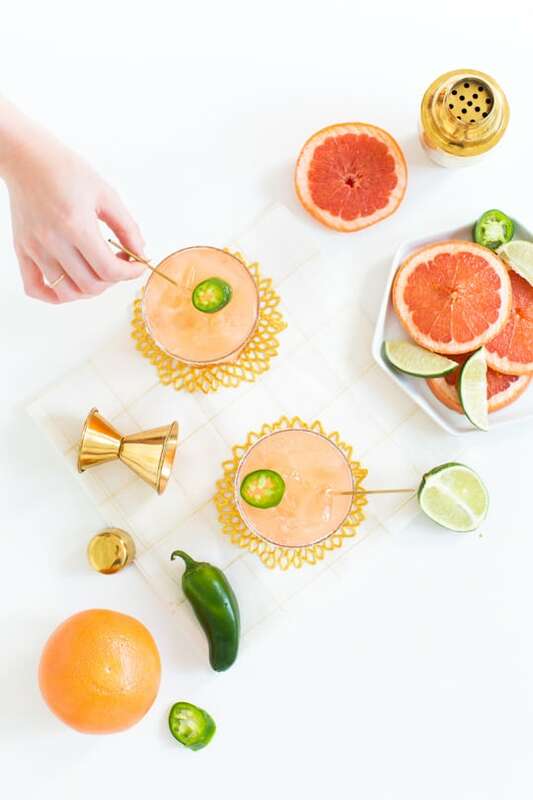 Are you down for trying a little bit of spice with your Summer sips? 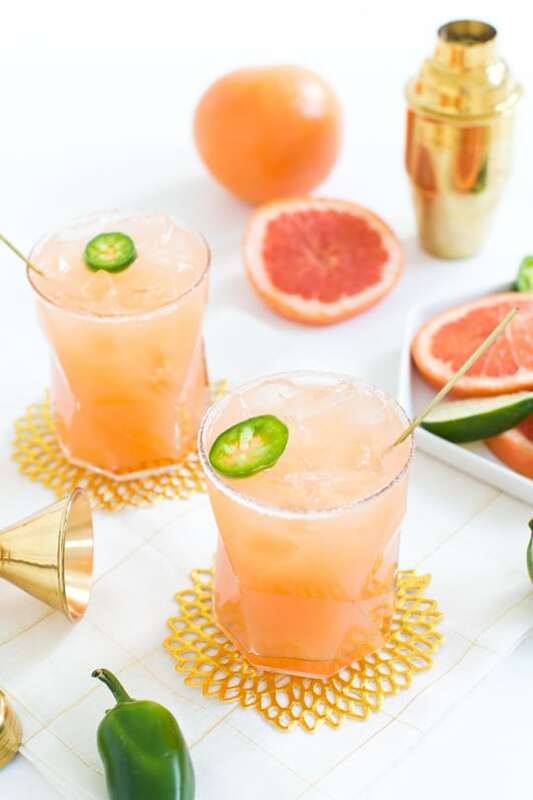 For my fellow spicy lovers, what are some of your other favorite drinks with a kick? 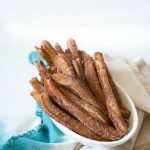 I’m looking to branch out, so definitely link to your recipe for me to try! Gorgeous! Where are those glasses from? I love the combo of the spicy and the citrus! 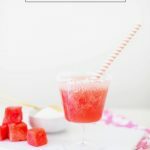 We’ll have to try this in mocktail version soon! very colorful!! I love it!! Mmm, what a deliciously spicy drink! 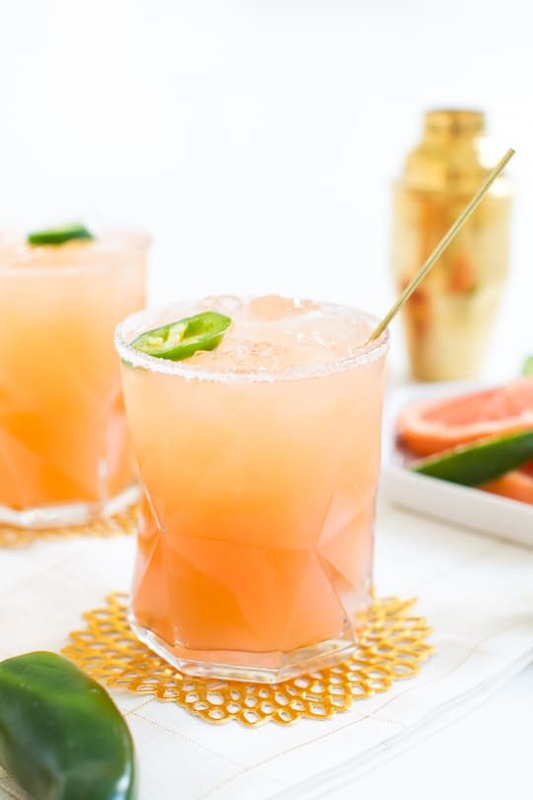 I’ve never heard of putting jalapeño peppers in a cocktail… love it! Love this ! I have a simple go to recipe for spicy drink which is mainly coconut water with jalapeno and a little mint. Love it … for the extra kick throw in a little vodka ;) Also, how great are those gold coasters!!! where are they from? Looks delicious!!! I would probably be TKO after one. I hope game night consists of Quelf and Bananagrams. Both of these are the best. I will be sipping this on the beach tomorrow- thank you! Jalapeño is such a wonderful summer treat. Right?! Could barely keep my hands off them while we were taking photos..ha! where ARE THESE GLASSES FROM? SO CUTE! I made these for my NYE party and they were a huge hit! A couple tips. One is that if you remove all the seeds from the jalapenos and only let them simmer for 10 min, the syrup will not get spicy. I ended up simmering for about 30 min, at which point i took some of the seeds i removed and added them in. so i recommend leaving the seeds in, simmering 10 min, then taste to see where you’re at. 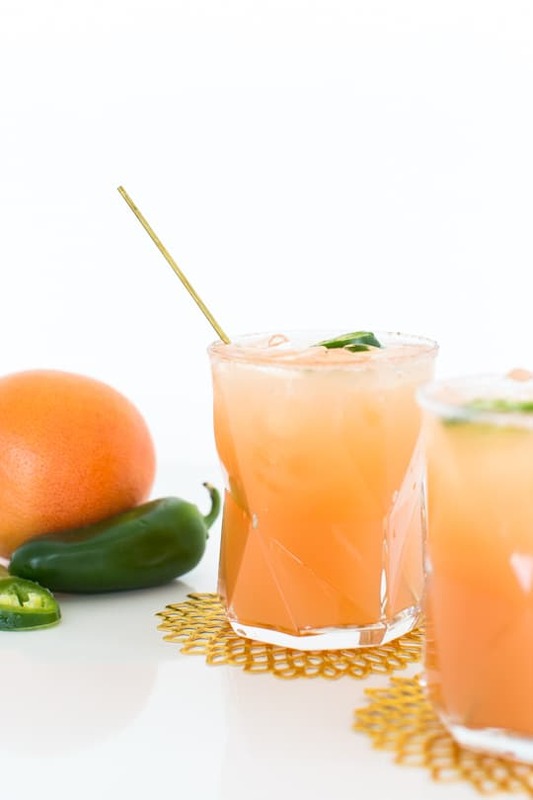 another recommendation – use a touch less tequila and then sub in a little bit of mezcal. it makes the cocktail even more complex with that hint of smokiness. cheers! This looks so delish! I have fallen in love with those gold coasters too. Where are they from? These were so good! Thank you for the recipe! So I actually wanted to make a large batch for a party- one punch bowl served about 10-15. I doubled the recipe for the jalapeño simple syrup. For the rest I used 2 cups tequila, 2 cups jalapeño simple syrup, 3 cups grapfruit juice plus half of a fresh grapfruit squeezed into bowl with pulp. About 1/4 to 1/2 cup of lime. I just eyed this one- I used lime juice and fresh squeezed limes and just tasted it till I thought it was enough. 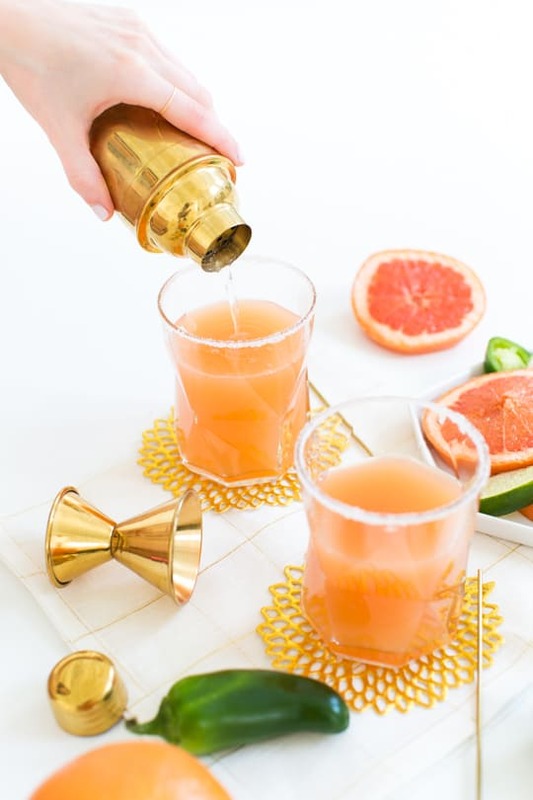 I then cute grapefruit rounds and lime rounds as garnish for the punch bowl. Served over ice this drink was a huge hit!! Forget******** and one can of a can and a half (depending on your taste) of la croix grapfruit soda water!